Roman ruins, Baroque buildings, Art Nouveau and contemporary styles: Piedmont boasts an amazing architectural heritage. In particular, the region has been doing some outstanding work promoting contemporary art, and has gained significant credibility for its continuous, high profile activities to the public. As a result, today Turin is one of the leading European cities in the field. But much is being done even outside of the capital, combining the region’s modern and contemporary architecture with a greater focus on the local territory, offering a number of unusual itineraries. Let’s explore some of the most beautiful attractions and venues that all contemporary-art lovers must not miss when visiting Turin! Our journey takes place in Piedmont’s capital, Turin, for one precise reason: in 1863 it was the first Italian city to promote a public collection of modern art! At the time it created the beautiful GAM (Civic Gallery of Modern and Contemporary Art), which today hosts over 45,000 works, including paintings, sculptures, photographs, a rich collection of drawings and one of the most important European collections of art films and videos. Do you know what the Arte Povera (poor art) movement was? At the GAM you can learn about it and admire related works by 19th and 20th century Italian and international artists. The surprises continue outdoors, where you can stroll along a beautiful sculpture garden. Nature, neon lights and numbers (in particular the Fibonacci progression) are the characteristic ingredients of the work by artist Mario Merz, who died in Turin in 2003. The city now hosts Fondazione Merz and its large exhibition space located in a rationalist-style industrial building that once was a thermal power station. The trust organizes scientific and theme-based exhibitions on Mario Merz and invites contemporary artists to exhibit their works along. Pinacoteca Agnelli treasures 25 ancient and modern masterpieces dating between the 18th and the mid-20th centuries. Its location is amazing: the picture gallery is situated in a futuristi venue suspended in mid-air above the rooftop test track of the former FIAT factory! And speaking of cars, the 1920s FIAT car plant was renovated by Renzo Piano and today hosts the spectacular Lingotto Multipurpose Center. Another amazing space where to admire modern art in Turin is the Centre of Contemporary Art by Fondazione Sandretto Re Rebaudengo, designed to address the latest contemporary issues. This flexible venue is suitable for events as well as concerts, theatre shows, movie screenings, literary meetings and discussions. Turin also hosted the world’s first outdoor light exhibition in 1997. Luci d’Artista has since then expanded abroad, becoming a veritable en plen air exhibition of works by Italian and foreign artists. Some of the works are permanent, such as the Fibonacci series created by Mario Merz on the dome of the Mole Antonelliana. The beautiful hills of the Langhe and Roero areas are not only home to excellent wine and food, but also to artistic excellence. In the town of Alba, Spazio Gallizio is a venue dedicated to Giuseppe “Pinot” Gallizio, the artist who invented industrial painting. It features the “Anticamera della morte” (Antechamber of death) installation, a must-see opportunity to learn about the great eclectic star of European artistic research in the 1950s and 1960s. The Canavese region hosts a number of open-air museums. Among these are the Macam outdoor museum of contemporary art, which boasts over 160 works of art on display in the streets of Maglione; and the Maam museum of modern architecture, where you can explore Ivrea’s rich modern architectural heritage. Fashion lovers will be mesmerized by Palazzo Borsalino in Alessandria, where the Hat Museum is located. The museum has a sample of every single hat produced in the factory since 1857, and is a vivid account of the tight bond that links the prestigious company to its surrounding area, where significant architectural works of Italian rationalism were commissioned by Borsalino. Piedmont can surprise you with modern art even inside an ancient church from the 1200s, such as Chiesa di San Marco in Vercelli. Inside its central nave is a very modern structure, made of glass and steel, called Arca. 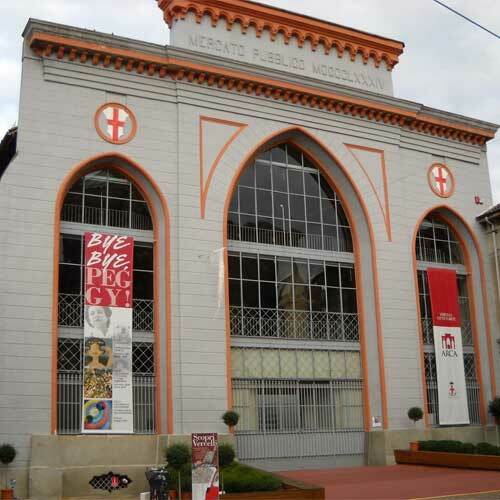 It has hosted, and continues to host, a vast number of highly admired exhibitions, and is considered the second most important exhibition center of modern and contemporary art in Piedmont, after Turin (portrayed in the image on the right, photo source torinofree.it). 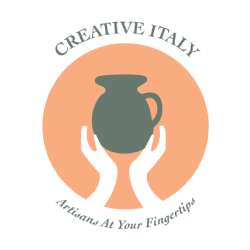 The citadel of sculpture lies near Novara: Materima is an international center for the design, creation and exhibition of plastic art. In over 20,000 square meters of space, artists can find everything they need, including marble workshops, a foundry, chalcography facilities, and art studios! Our selection of attractions is just the tip of the iceberg: the venues and exhibitions featuring contemporary art are truly infinite in Piedmont! Companies looking for the perfect destination where to organize a corporate retreat have the ideal candidate in Piedmont. Because the local combination of art, activities, food and authentic venues can make that special occasion unique and inspirational! Nobody wants a dull experience that seems useless, but we all look for a creative event that boosts the drive, collaboration and resourcefulness of the participants. In Piedmont, your corporate retreat can alternate guided visits and workshops in the above-mentioned art venues with fun foodie experiences in amazing places such as a brewery or between rice paddies; with prestigious gastronomic events; with folklore festivals; with business meetings and a gala dinner in ancient castles. And of course, all the beauty and energy that you find in Turin ! Do you need ideas, assistance and local knowledge in the selection of venues, conception and planning of activities, and organization of your corporate event in Piedmont? Whether it is a corporate retreat, business conference, team building experience, product launch or gala dinner, contact Italian Special Occasions DMC now!